Dr. Frederick Muench, an assistant professor in Columbia University’s psychiatry department, is leading the $480,500 study aimed to reduce "problem drinking." "The proposed development study entitled, Tailored Mobile Text Messaging to Reduce Problem Drinking is designed to develop and test a tailored adaptive text messaging/short message service (SMS) intervention for individuals interested in stopping or reducing their alcool [sic] consumption," the grant reads. The project hypothesizes that cell phones offer "brief intervention opportunities," allowing researchers to text a drunk while they are at the bar. "Excessive alcohol consumption is a serious personal and public health issue and economic problem to society," the grant said. 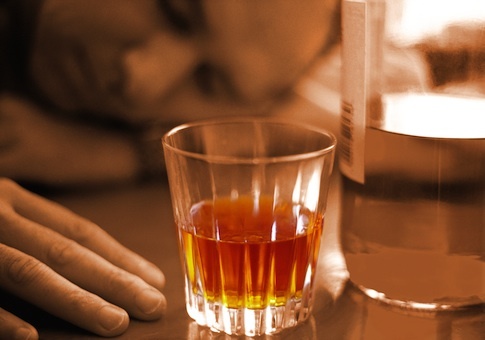 "Despite the significant consequences of problem drinking (PD), most persons with alcohol problems never seek formal treatment. While the emergence of internet based interventions (IBIs) has expanded access and brief intervention opportunities to problem drinkers, traditional IBIs suffer from high attrition, limited ability to proactively meet individuals where PD occurs and adapt to real-time needs." The study points to other projects that have texted smokers in attempts to get them to quit, and argue that texting "may provide" the answers for alcoholics. Requirements to participate in the study included consuming more than 15 drinks per week for women, and more than 24 drinks per week for men. Individuals must also "be willing to reduce their drinking to non-hazardous levels," and have a cell phone to receive and respond to up to 115 text messages per month. The research will be considered a success if "drinks per drinking day, days of heavy drinking, and average drinks per week" were reduced. "Additional outcomes will include drinking related consequences, goal commitment, and intervention satisfaction," the grant said. "This intervention could be easily disseminated and potentially improve long-term psychosocial and health outcomes for problem drinkers." The grant said the study is "consistent with NIH's recent interest in developing adaptive mobile interventions." The list of active projects that involve text messaging is lengthy, aimed at a variety of groups. The NIH has spent $2.7 million text messaging obese people. The texts included reminders that read, "Try to eat high fat foods less often. This is a good way to cut calories." In addition, a $372,460 project is studying "text message interventions" for older African Americans with HIV, and a $763,519 study aimed at ending smoking amongst "people living with HIV/AIDS." Another study, "QUIT4Baby," targets pregnant smokers totaled $380,145, and the government spent $243,839 to send text message reminders to teen moms so they will not overfeed their infant and have an obese baby. "We're still new to understanding texting as a unique medium," Muench said last year, after completing a preliminary survey to determine what people prefer their text messages to be like. The survey found that 75 percent of respondents "prefer receiving statements to questions, most are likely to prefer messages in ‘non-textese,’ and satisfaction increased with happy emoticons and correct grammar," according to Text Messaging Resource. "All-caps were preferred only when connected to a particular goal," the report said. "The less you drink, the better your sleep quality. The better your sleep quality, the better your body will function," Muench said.